SEOUL –Three sailors have been killed and three others missing in a South Korean fishing boat collision with a foreign cargo ship in waters off the country's southwestern region, Yonhap news agency reported Thursday. 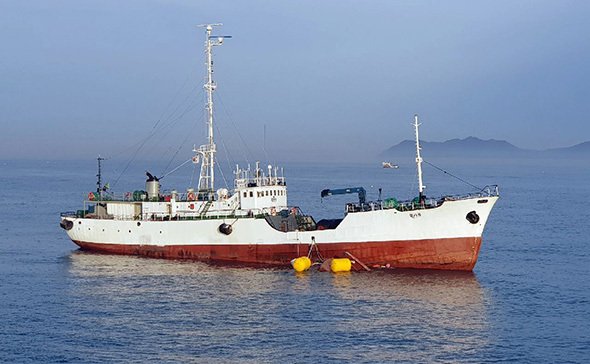 The 15-ton 2007 Yeongheung fishing vessel collided with a 498-ton refrigerated cargo ship of Tanzanian nationality at about 00:37 a.m. local time in waters off 9.6 km northwest of Sinan county, South Jeolla province. One sailor was founded dead less than an hour into the accident. Two more sailors were recovered from inside the sunken ship by rescue divers in the morning. Among the six sailors aboard the sunken vessel, three were still unaccounted for.